In imaginary world, the sun is always shining, a glass is half-full and ink in a cartridge never comes out. In our world, HP has recently managed to arrange the last one, but in a specific way. The new technology allows “smart cartridges” with newly designed chips to send a request to HP when the ink is running low, and the company will automatically send a new XL ink cartridge to the user. There are different variants of request-sending conditions, utterly convenient and specific to each user. They are based on the information about monthly print volumes and can be changed in any time. In this case, a user gets bigger-than-usual-sized cartridge right to his home or office on lower than retail price right when it needed (plus a return envelope for recycling used cartridges). The service is provided to all previous models of HP printers considered “Instant Ink capable”, and to the new models “Instant Ink ready”—free for 3 months. 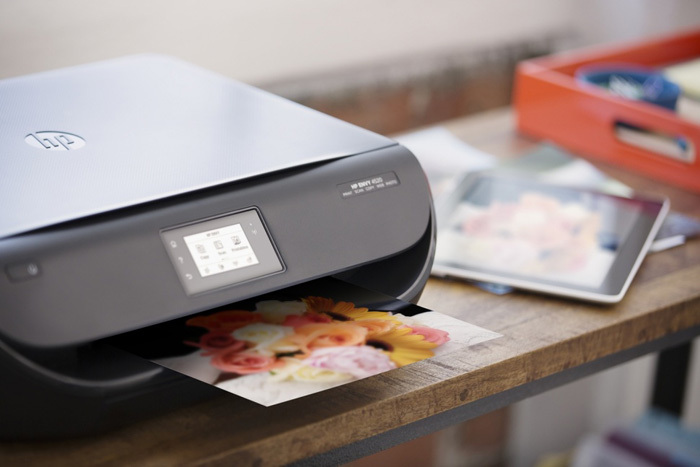 The new models include: Envy 4520 and 5540 (from $99 to $129), and OfficeJet 4650, 3830, 5741, 5743 (costing from $79 to $299). The Envy machines are aimed for home use and possess diverse mobile printing capabilities. The OfficeJets are for homes and small offices with such special office functions as fax, automatic document feeder and two-sided printing. The minimum plan is $3 per month and fits those who print less than 50 pages a month. According to HP, this plan saves users $96 annually comparing with buying ink cartridges at retail. Those who print more will pay $5 per month (for 100 pages) and $10 (for 300 pages). The number of users registered on the HP web-site for this service is growing everyday. This entry was posted on Tuesday, September 1st, 2015 at 9:35 am	and is filed under cartridges, HP, inkjet. "Storytelling And 3D Printed Toys Combined By Blokko"
"Canon imageCLASS Laser MFPs Providing Multiple Connectivity"